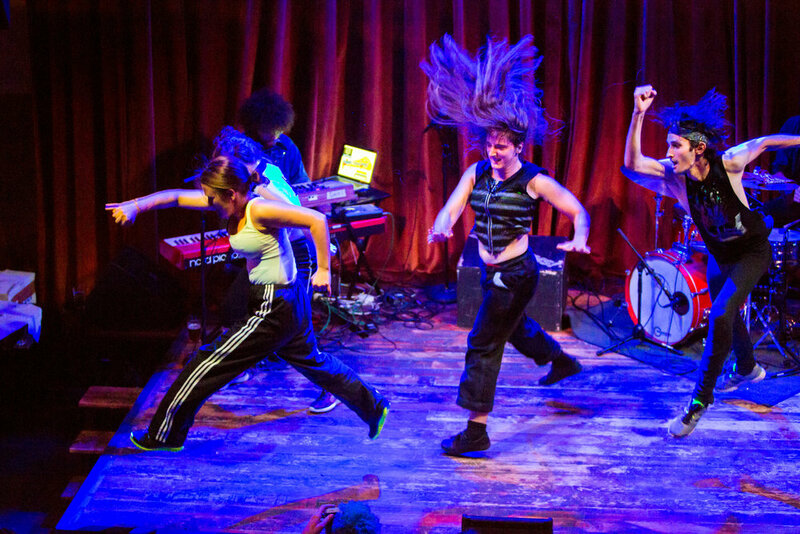 DaNCEBUMS is a group of five making dance collaboratively and non-hierarchically in Minneapolis. Margaret Johnson, Kara Motta, Eben Kowler, Maggie Zepp, and Karen McMenamy have collaborated in various configurations since 2011. Tightly bonded by friendship, they lived together at 601 Broadway St NE. 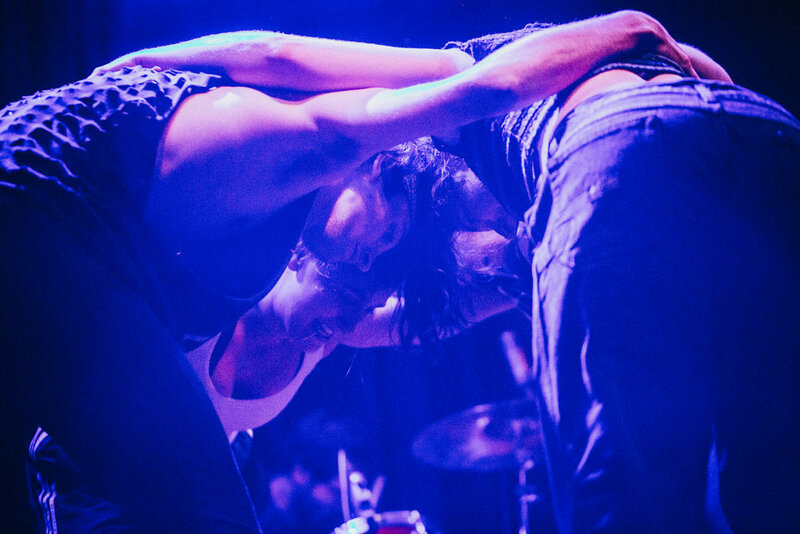 During their two-year residency, they created a trilogy of original dance-rock-operas; and performed them for friends and neighbors in their single-car garage. In 2013, Karen, Maggie, Eben, Kara, and Margaret formed DaNCEBUMS. Dubbed “the best dance party in town”, their work straddles the arty and the party as they knowingly move between precise technique and casual pop sensibility. In a search for radical joy, they embrace the awkward, conjure nostalgia, and contemplate bright futures. 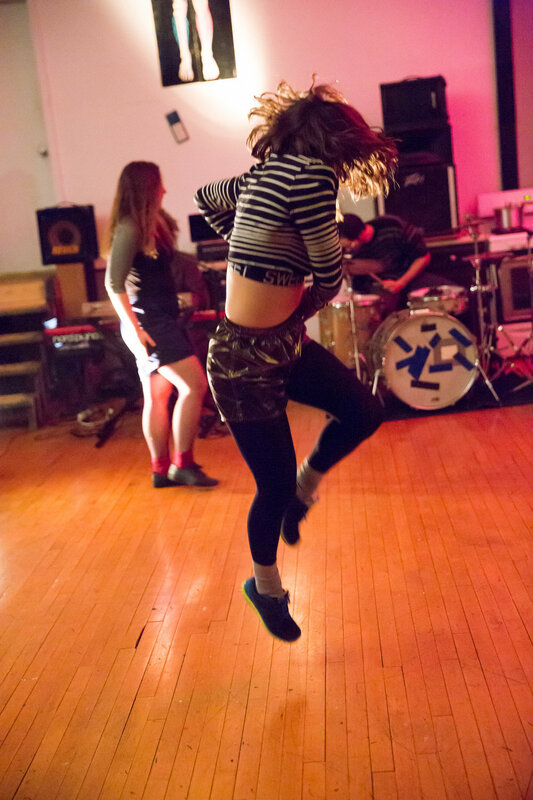 Their crowd-pleasing performance is imbued with humor, groove, exertion, and extreme bliss.